Some people say “Less is more”, and that has never been more true than with the stunningly simple Gemma. 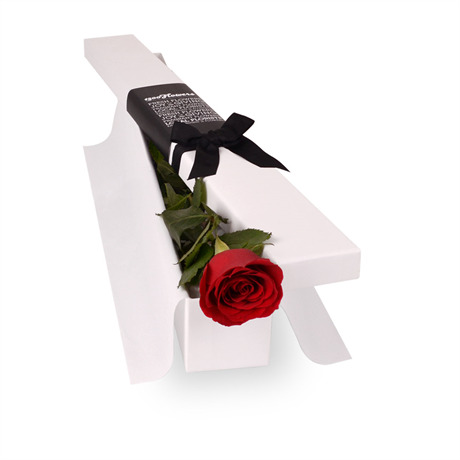 Cost effective, effortlessly romantic and elegant, this stylish presentation box opens to reveal a single long-stemmed ruby rose. Roses have an innate ability to convey love, passion, and affection within their sumptuous velvety petals, and if you’re lost for words, the rose will say it all for you. To personalise your gift further, we have a bevy of romantic gifts available, including champagne, decadent chocolates, and premium cards. All of the options to create the most memorable gift are here at your fingertips, and are only a click away.